Klaxon is exhibiting its extensive range of fire evacuation solutions at the Fire Industry Manufacturers Expo (FIM), held at the Millennium Stadium, Cardiff on the 15th April 2015. 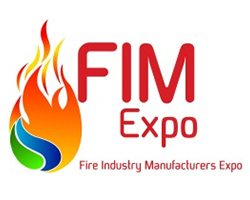 The FIM Expo has been described as a ‘brilliant opportunity to see the latest fire products and services’, and Klaxon will be showcasing the latest developments in fire evacuation technology, products, design and support services. Marc Goddard, Head of Sales for Klaxon Fire & Industrial, said: “We are really looking forward to discussing fire evacuation strategies with integrators and installers. These are on the ‘front line’ of fire system design and commissioning, and Klaxon can help educate and advise on the latest best practices. Through our CPD seminars and by supplying certified products that are accredited to the latest standards, Klaxon’s expertise and technical know-how can help provide safer environments”. Klaxon is a registered trademark of Texecom Ltd. © 2013 Texecom Ltd, Bradwood Court, St. Crispin Way, Haslingden, Lancs BB4 4PW.